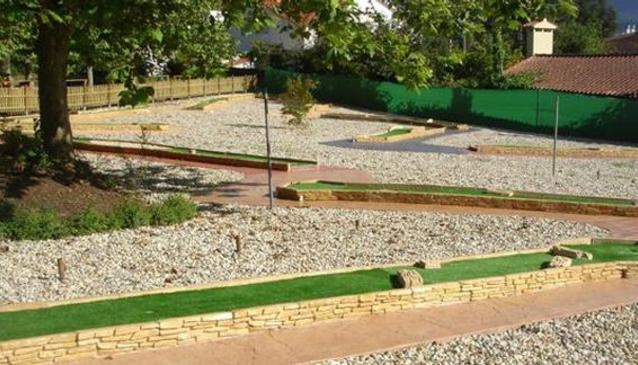 Come and enjoy a round of crazy golf at Minigolf Golfiño which is located close to Americas beach between Nigran and Baiona. It is well sign posted so you cannot fail to miss it. The owner Jose and his staff will make you feel really welcome and guarantee you have a grea time. This is popular with families and the children and there are special prices for groups. You can also relax and have a cold drink or buy a drink from a vending machine. Regular competitions are also held especially during the suimmer months..
Birthday celebrations are popular so call Jose to arrange that special day. Open all of the year from 16.00 to 22.00 every day.